Here's how our drawings service works. Dave Chamberlain graduated in 2008 with a First Class Hons Degree in Architectural Design & Technology and after a short work placement decided to bravely go it alone. After a couple of months drafting for local clients he had the crazy idea to try and reinvent the whole Planning drawings industry using the internet. The whole idea of asking customers to measure their own house and upload their own photographs was obviously met with some resistance at first but Dave was determined to prove to the nay-sayers that it could work. It worked better than anyone could have imagined. It turns out there is a constant pool of customers on a tight budget who know exactly what extension or loft conversion they want, can use a tape measure and own a smartphone. This is exactly who ArkiPlan.co.uk caters for. We are now a small Architectural drawings business based in South Wales and we produce an ungodly amount of Planning and Building Regulations drawings for customers all over the UK. We've been at it for over ten years and have become experts at problem solving to get the best design possible for our customers lifestyles and we know all the tricks to increasing their chances of getting the Local Authority's approval. We constantly hear stories from our customers about their failed relationships with their Architects. They have often fallen out over huge drawing delays, spiralling unexpected costs, a lack of enthusiasm from their designer and sometimes much worse. ArkiPlan.co.uk has beat our annual turnover records every year since the business began as people are gradually realising they don't have to put up with shoddy service anymore. Our promise is to provide high-quality architectural drawings for our customers at a fair price as quick as they need them. Our standard turnaround time is 14 days but if needs be, we will charge an additional fee to bump you up the queue and work late into the evening if we have to. Are you the same as an Architect? We are Architectural Technicians and the Planning Permission or Building Regulations drawings you receive from us will be of exactly the same standard as (or better than!) your local Architect. Maybe you are fancying a new open-plan kitchen/diner or a couple of new bedrooms upstairs? 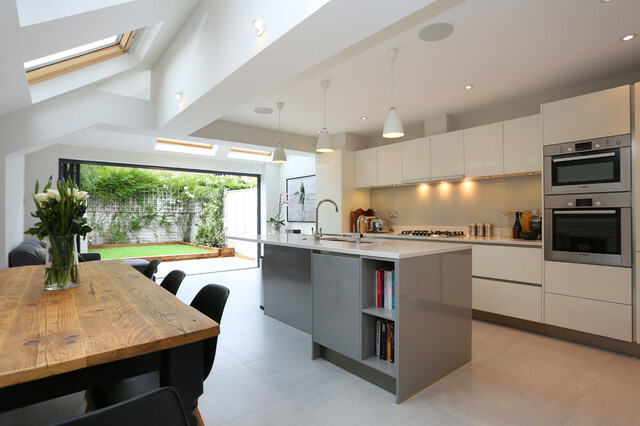 Lots of extension plans don't require Planning Permission these days but it is still extremely likely that you will still need Extension Drawings. If you have enough roof height then a loft conversion plan is a great way to increase your floor space and property value. It is most likely that you will not need Planning Permission but it would still be prudent to get some detailed loft drawings for builder's quotes, a Lawful Development Certificate and Loft Building Regulations Approval. Building the house of your dreams can be extremely expensive when you add up all the professional fees. For such a project you will definitely need New House Planning Permission Drawings and Full Plans Building Regulations Drawings. We can save you thousands of pounds by doing all house drawings online to get you both Approvals. 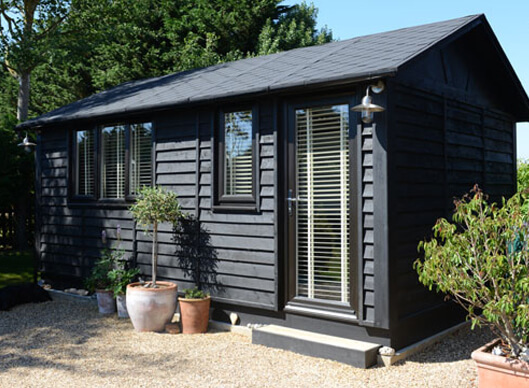 There are some beautiful kits available these days to add a garden office/playroom/summerhouse to your garden but many of them will need Garden Room Planning Permission. Thankfully, most of them are exempt from Building Regulations Approval because of their floorspace. I can get cheap Drawings Online? With No Site Visit? "Oh my goodness, the plans are so amazing! I am not often lost for words, but what you have managed to produce merely from photos and my very basic scribbled measurements is unbelievable! Huge thanks and regards"
We are absolute experts in providing cheap planning drawings online and cheap building regulations plans online for anyone looking to build a house extension, loft conversion, garage conversion or hew house. If you have any questions about what planning permission drawings or building regulations drawings you may need, just give us a call!